AXIS FA4115 is a compact varifocal dome sensor unit for discreet indoor video surveillance in stores, offices and banks. For use with an AXIS FA Main Unit, AXIS FA4115 provides a 1080p resolution and flexible viewing angles ranging from a 53� to 99� horizontal field of view. AXIS 3D People Counter is a cost-efficient and scalable video analytics application for people counting in challenging conditions. 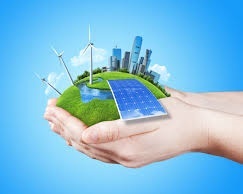 Installed on a compatible network camera, this application improves business operations by enabling precise monitoring and analysis of customer flows in crowded environments or in difficult lighting situations. AXIS FA1105 is ideal for highly discreet indoor surveillance applications in stores and banks, and when integrated in machines. It can be installed in tight places and flush-mounted in a wall, ceiling or metal panel with only a small hole visible for the lens. AXIS FA1125 is ideal for extremely discreet indoor surveillance applications in stores and banks, and when integrated in machines. It can be installed in tight places and flush-mounted in a wall, ceiling or metal panel with only a pinhole visible for the lens. AXIS FA3105-L Eyeball Sensor Unit is a discreet flat-faced sensor unit with eyeball design for optimized installation flexibility. With built-in IR illumination and automatic IR cut filter, it is a true day-and-night device, ideally suited for installation in banks, shops, and gas stations that need video around the clock. 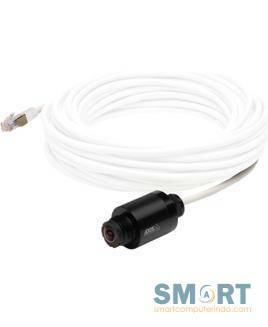 AXIS F1005-E Sensor Unit with a 3 meter cable to the main unit. IP66 rated. To be used with AXIS F Series Main Units. Fixed lens that provides 113� horizontal FOV. Full HDTV 1080p resolution and support for WDR - Forensic Capture together with AXIS F41 Main Unit. Includes one AXIS F8201 Vari-angle Mounting Bracket. 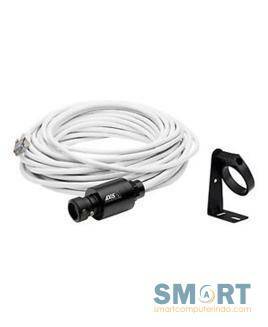 AXIS F1005-E Sensor Unit with a 12 meter cable to the main unit. IP66 rated. To be used with AXIS F Series Main Units. Fixed lens that provides 113� horizontal FOV. Full HDTV 1080p resolution and support for WDR - Forensic Capture together with AXIS F41 Main Unit. Includes one AXIS F8201 Vari-angle Mounting Bracket. 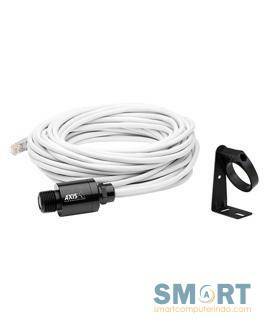 AXIS F1015 Sensor Unit with a 3 meter cable to the main unit. To be used with AXIS F Series Main Units. Vari-focal lens that provides 53� - 108� horizontal FOV. Full HDTV 1080p resolution and support for WDR - Forensic Capture together with AXIS F41 Main Unit. Includes one AXIS F8201 Vari-angle Mounting Bracket.